Luigi Ghirri (Scandiano, January 5, 1943 – Roncocesi, February 14, 1992) was an Italian photographer. 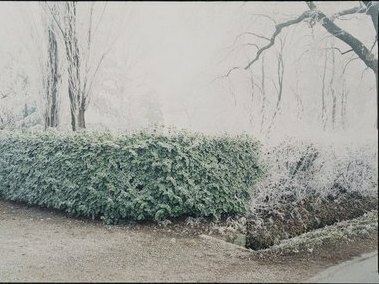 He started photographing in 1970 confronting himself with conceptual artists and looking for signs in the natural landscapes and human and also artificial interventions in the landscape itself (advertisements, signs and also maps). 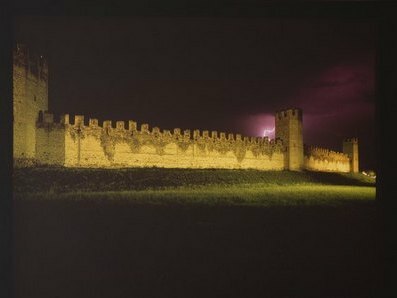 Since 1980, urged by Vittorio Savi, he begins to photograph the architecture in the territory. In particular he will work for Savi, Aldo Rossi and Paolo Zermani. His landscapes are suspended, not realistic and in some ways metaphysical, often deprived of human figures, but never without human intervention on the landscape. His pictures are usually in color. The use of soft and not saturated colors is central to his poetry and is due to his close collaboration with Arrigo Ghi, his printer. The pictures of the Giorgio Morandi’s atelier are remarkable. Elisabetta Sgarbi presented at the Venice Festival of 2009, a film about the photographer.